Over the past few months, there have been a multitude of violent attacks occurring across the United States. The Route 91 Harvest Festival shooting became the deadliest mass shooting in U.S. history in October, followed up with the New York Terror Attack later that month. Just a couple weeks later, a Texas church was shot up during a Sunday morning service, killing 26 people. Today, we have heard of yet another shooting, this one occurring at a New Mexico school resulting in 3 deaths, including the suspect. With the increase of violent acts happening across the world, it’s important for every business, regardless of size to be familiar with how to prevent, respond to and recover from active attacker situations. Preparis held a webinar on “The Truth About Active Attackers & Dealing with Them in the Workplace” with guest speaker, Bill Hildebrand, CEO & Protective Security Consultant at NationWatch Protective Advisors just two days prior to the New Mexico school shooting, where 83% of attendees indicated that out of all recent attacks, they are most concerned about active shooters. With the most common current threats being active shooters, vehicle and edged weapon attacks, it’s no wonder that active shooters are the most fear-inducing. Where do Active Shooter Situations Occur? When an active attacker situation occurs, there tends to be more situations that follow and mimic the attack. This creates attack trends. Incidents are short, generally lasting only 2-3 minutes in duration. It usually takes 3 minutes for law enforcement to arrive on the scene once an incident has been reported. The increase in incidents is partially due to a copycat phenomenon. When one attack occurs, someone will see it and decide to re-create the attack. Increased tendencies to use multiple shooters, explosive devices and targeting first responders. Vehicle attacks have also been increasing. Since July of 2016, there have been 12 reported incidents. Edged weapon attacks create terror and have been increasing over the years, with 6 reported incidents occurring since September of 2014. 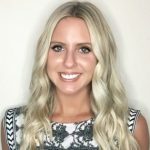 With the increased amount of active attacker situations occurring in commercial buildings, it’s important for businesses to understand their liability risks as well. Develop and implement an Emergency Action Plan (EAP) that specifically addresses active attacker scenarios. Conduct training on the plan and threat awareness training for personnel. Exercise the EAP with a progressive exercise plan. Update your EAP based on exercise feedback and changing threat environments. Invite law enforcement, fire rescue and EMS responders to tour your facility and have input into your EAP. Open lines of communication and transparency between employees and management concerning threats. Include an intelligence component to compliment physical and procedural practices (Infragard, HSIN, ASIS, etc.). As a last resort and only if your life is in danger, attempt to incapacitate the attacker (throw items at the attacker). The Attack is Over, Now What? Have a company representative liaison to law enforcement and fire rescue to provide information about facility layout, occupants and emergency plans. Coordinate media releases with public safety agencies’ Public Information Officers (PIOs). Provide shelter for employees/staff that were detained for investigation, if possible. Comfort employees/staff and assist them with notifying family members. Provide employee/staff assistance with post-traumatic stress management counseling. Review your EAP and modify it, if necessary. 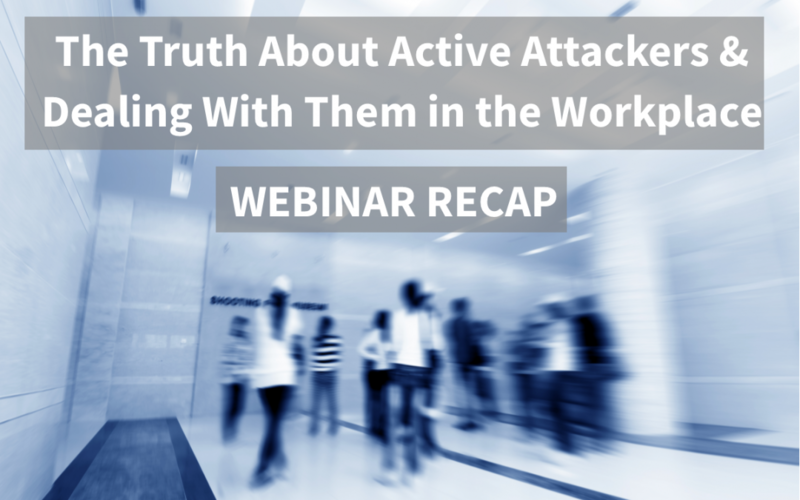 To watch “The Truth About Active Attackers & Dealing With Them In the Workplace” webinar, click here.